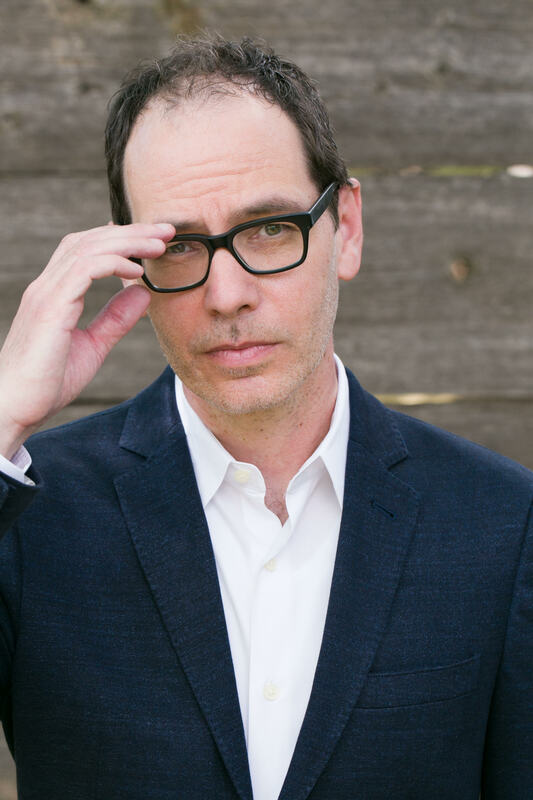 Lou Berney, author of the upcoming novel November Road, stops by to chat rewrites, Bouchercon and the crime fiction community. 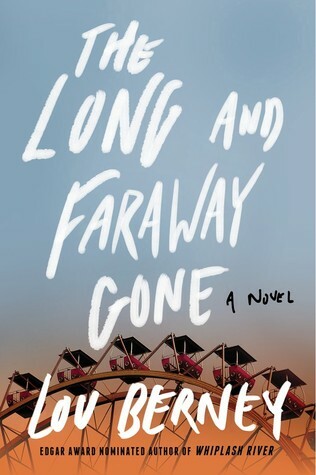 You had received a lot of critical praise as well as an Edgar Award for your most recent novel, The Long and Faraway Gone. Did you feel a lot of pressure to deliver with a follow-up? I’d be lying if I said I didn’t feel some pressure along those lines, but really the stress for me always comes on the page, as I’m writing, and it’s all about what’s happening right now, what might happen after the book is published. In other words, I’m not thinking so much about what people will say about the book, but whether or not the characters are coming alive, do they feel authentic, are they taking the story where they want to take it. I’m a big fan of crime novels that take place mostly on the open road. Given the lack of technology and tracking options available in 1963, did you find it provided an easier approach when plotting out the novel? At first I hated writing a novel set in 1963. That’s before I was even born, so every sentence I had to stop and think: Is that true to the period? Is that how a character would say or think something? But once I got in a groove, I really appreciated the plot advantages that came with no cellphones, no Internet. It just felt looser, edgier, tenser to me. Every time a character stepped into a payphone booth to make a call, I kind of tensed up. People were exposed, back then, in a way they’re not quite exposed now. Frank is such a well-written, complex character. I found myself hating him, sympathising with him and rooting for him at different points in the novel. His adversary, Barone, is a straight-up monster, yet he was made just vulnerable enough for me feel sorry for him. When developing the idea for November Road, did you intend it to be so character-driven or did you want an old-fashioned cat-and-mouse thriller? First, thank you! Second, it always starts and ends with character for me. I knew the plot was solid, but the novel wasn’t going to succeed unless the characters really came alive. When I first planned this novel out, I only had two, not three, POV characters: Charlotte and a mob hitman who hides out in the town where she lives. I hammered away at that for a while, and it wasn’t working at all. So eventually I realized I needed to split the mob hitman into two different characters, Frank and Barone. One you could kind of start to sympathize with, and one who, I hope, scares the hell out of you. But I also didn’t want to make Frank TOO sympathetic, and I wanted to make sure the monster, as you call him, has a couple of complicating emotional levels too. The great thing about writers such as Megan and Don is that they’re so incredibly talented, they have such great empathy for their characters and such allegiance to dramatic and emotional truth, I NEVER have trouble disappearing into their novels. But, yeah, it’s always a little traumatizing to read their stuff. It’s that good. It inspires and debilitates me both. One thing I noticed in both November Road as well as The Long and Faraway Gone is that there is very much a natural flow when it comes to how you write dialogue – especially the scenes shared by Frank and Charlotte in your latest novel. Do you find your experience as a screenwriter has helped with this or has this aspect of your writing always come easily to you? I love writing dialogue, but that doesn’t necessarily mean it comes easily to me. It takes me a long long long time to get a character’s voice right. I have a lot of frustrating days during the first part of the writing process. It’s hit or miss. I have to write a line of dialogue to know if it works or not, so I end up throwing away a lot of dialogue. Once it clicks, though, once I’m actually hearing a character’s voice, it’s such a great feeling. You’ve mentioned in the past your admiration for the crime fiction community and how events like Bouchercon have brought together authors and readers alike. There has been a lot of discussion lately about toxic fandom in the sci-fi world – what do you think sets mystery/thriller fans apart from this type of behavior? I don’t know what it is about the crime fiction community, why it’s so supportive and generous. But it is, and it continues to amaze me. At my very first Bouchercon, I knew nobody – NOBODY. And probably half a dozen people came up to me – I guess I looked pretty lost – and introduced themselves, introduced me around. And these were some really well-known writers, like Reed Farrel Coleman, who had no reason to be nice other than the fact that he’s a really nice people, and other writers had been nice to him way back when. I love that spirit of one for all, all for one. What are you currently reading? Any recommendations? 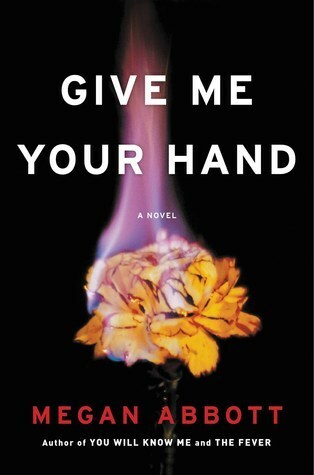 Speaking of the devil herself, I just finished Megan Abbott’s new novel, GIVE ME YOUR HAND, which is terrific. I also loved new or upcoming novels by Lori Rader-Day, Wallace Stroby, Kathy Wang, Michael Harvey, Crystal Hana Kim. And I re-read WONDER VALLEY by Ivy Pochoda, which is one of my favorite novels of the past several years. November Road hits bookstores this October. Would I be getting ahead of myself if I asked you what was next for Lou Berney? I’m working on a psychological thriller. So far, so good – famous last words. I want to thank Lou for stopping by to answer a few questions. 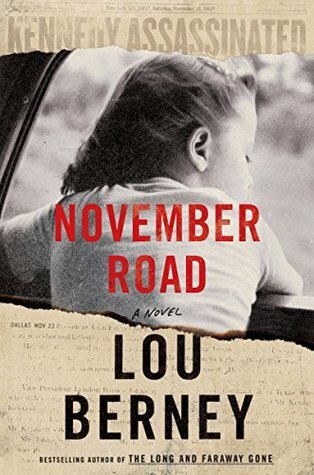 If you want to read my thoughts on Lou’s upcoming novel, check out my review!